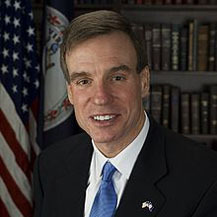 U.S. Sen. Mark R. Warner (D-VA), a member of the Senate Finance Committee and co-founder of the bipartisan Cybersecurity Caucus, and five of his colleagues sent a letter to President Obama urging him to prioritize cyberattacks on financial institutions in discussions at the upcoming G-20 summit in September and help develop a global strategy to counter these threats. Last February, hackers stole $81 million from the Central Bank of Bangladesh using the Society for Worldwide Interbank Financial Telecommunication (SWIFT) international financial messaging service. In addition to Warner, the letter was signed by Senator Gary Peters (MI), Sherrod Brown (OH), Kirsten Gillibrand (NY), Martin Heinrich (NM), and Debbie Stabenow (MI). The Senators also addressed the additional benefits of a long-term, global approach to combatting cyberattacks on financial institutions.